The title says it all. 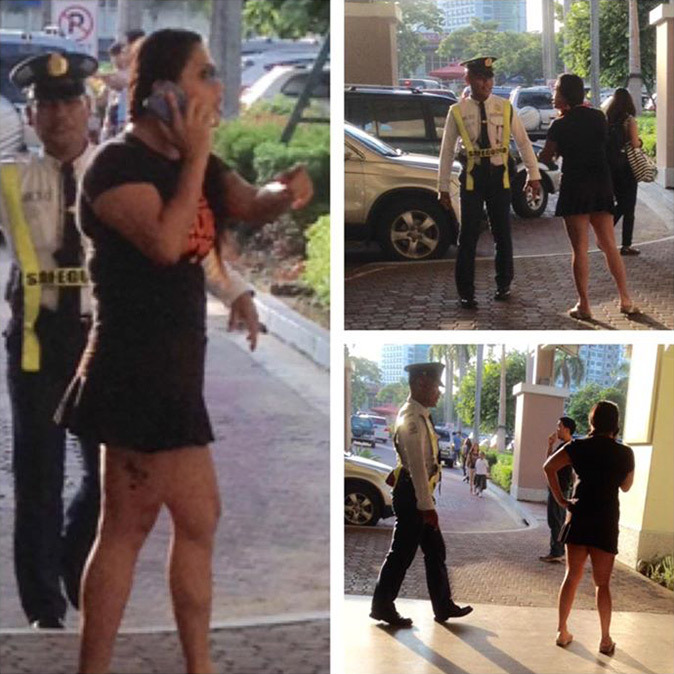 An unidentified woman, who claimed that she owns Ayala Alabang, refused to move her car amid traffic at a mall entrance. Netizen Daryl Rose Pugeda, a lady doctor, witnessed the "stand-off" at Alabang Town Center on September 2. This lady refused to move her car with plate no. ZMW 874 while the cars behind were congested in traffic. Despite the honks of the cars, she refused to leave. The mall guard approached her and asked her nicely to move a bit so that other cars can pass, instead of complying she had the guts to step out of her car and leave it on purpose while she walked away angrily. The guard asked once more to move her car. Her reply as she shouted was "Do I look stupid? Do you not know who I am?! I am the owner of Ayala Alabang!! You have no right." When an irate car owner who could not move his car as it was blocked by her car pointed out that she should really move her car to give way to others, she responded "You dont talk to me like that!! Bakla!! Papatol ka sa babae!?!" Wow just wow...that's all I have to say — watching a stand-off with top gear at Alabang Town Center. Pugeda's viral Facebook post has been shared almost 11,000 times as of 11 a.m. Thursday. What would you do if you encounter that kind of person?